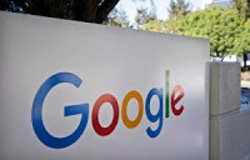 Several media outlets have reported that the Equal Employment Opportunity Commission ("EEOC") is investigating Google. The reason for the investigation: alleged age discrimination. A lawsuit filed in federal court revealed that Google was accused of not cooperating with the EEOC's investigation. Google has apparently denied that allegation but does acknowledge that it is under investigation in the court documents. Cheryl Fillekes is a plaintiff in the lawsuit. She was a systems engineer who interviewed with Google when she was 47 years of age. She claims that she interviewed for four different positions within the company over a seven-year period, and Google had reached out to her for some of those positions based on her qualifications. She joined another age discrimination lawsuit filed in April 2015 by Robert Heath. 60 year-old Mr. Heath was not hired although he had significant experience at other tech companies. Mr. Heath's lawsuit cited a survey of Google employees showing that the company's median employee age was 29 in 2013. Experts in the field report that age discrimination is rampant in Silicon Valley, where 35 years of age may be considered old. The two individuals are seeking to have the case certified as a collective action so that other individuals may join. The EEOC spokesperson stated that it is barred from confirming, denying or discussing ongoing investigations. Google also did not provide a comment for reporters. In court filings however, Google asserts that the two plaintiffs were not hired for reasons other than age.